Most of us have goals. We might not share them with the world, but we have internalized them and we want to work towards them. Having goals is good, but it’s usually not good enough. In order for goals to work in our favor, we should turn them into SMART goals. SMART stands for Specific, Measurable, Achievable, Relevant and Time-bound. Each part of SMART goals makes them more likely to be completed. Without specificity your goals will be harder to achieve, they will lack clear calls to action, and they will lead to more hesitation. In the example of owning a house, there are a few details you need to know. It would be very difficult to become a first-time home owner if you don’t nail down some specific details. What size will the house be? What locations are you looking in? What’s your overall budget and your budgets for a down payment and monthly mortgage? These specific details will help narrow down your options and will make it a lot easier to find a house that fits all your needs. Your goals should be measurable so you can track your progress. Without measurables, it’s hard to see how close you are to achieving your goal. In the case of buying a house, your measurables could be figuring out how much money you need to save per week to reach your down payment, how much you can afford to pay on your mortgage each month, and how much is required for repairs or upgrades. If you calculate these numbers, and can comfortably make enough money to pay for them, you will be much better prepared for all the expenses of owning a house. That is why measurable metrics are so important when creating goals. They help you stay on track and prevent you from getting in over your head. They allow you to track the progress towards your goal, and how much work is involved before you can reach your goal. When setting goals, it’s best to be honest with ourselves. When we set goals that are unrealistic, we’re just setting ourselves up for failure. In the case of buying a house, you already know your constraints. It’s probably not a realistic goal to own a high rise condo in Downtown Manhattan. You are constrained by both where you live and how much money you can spend. That’s why our goals should always be achievable. If you set your goals too high, you will just be disappointed when you don’t achieve them. That doesn’t mean you can’t aim high. It just means you need to know what’s achievable within a reasonable amount of time. Our goals should always be relevant to us. Relevant doesn’t mean it’s a good idea. Relevant means it’s worth doing, it’s the right time to do it, and you have the right conditions to do it in. In the example of buying a house you can ask yourself a few questions to determine whether it’s a relevant goal. Why do you want a house right now? Are there any other financial obligations you have to take care of too? Is this the best use of both your time and money? When coming up with goals, it’s important that they are not only important to you, but they are also relevant at this point in time. That’s how you can determine if your goal is worth both your time and effort. Your goals should be time-bound because without a timeline, you can easily lose focus on things that are important. 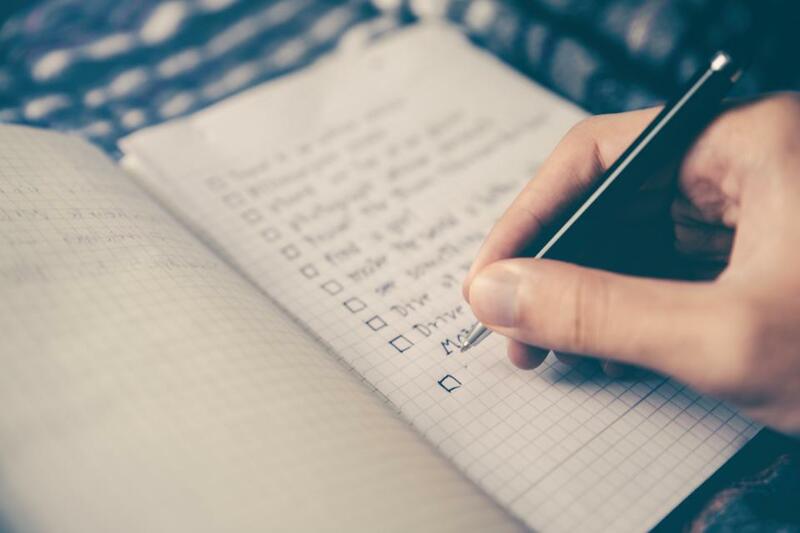 When you don’t set a time frame for your goals, your day to day tasks can creep into your schedule, and your goals will get lost in the shuffle. You will also be more likely to procrastinate if there is no timeline for completion. In the example of buying a house, if you don’t set a timeline for certain tasks, your other chores and errands can easily get in the way. We are all busy in our own ways, so determining a budget or finding a good location for your house might not sound like an appealing idea. That’s why we need to set a time frame for our goals. 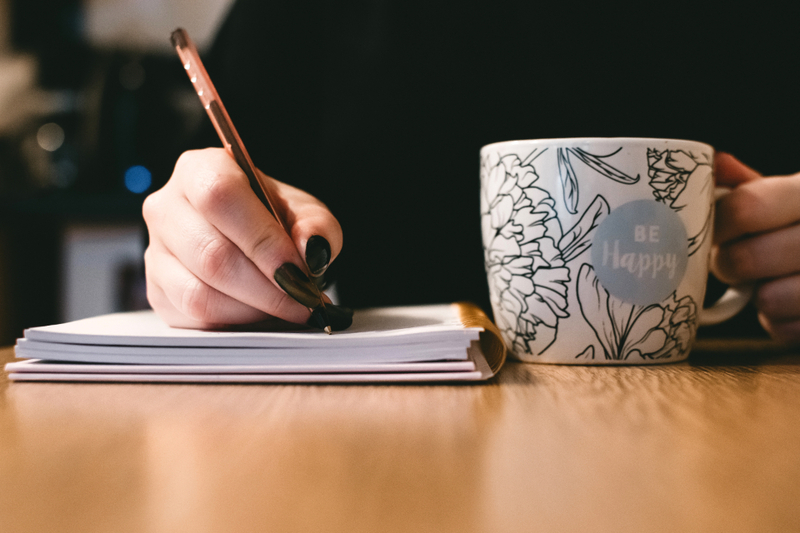 One helpful thing you can do is break your goals down into multiple manageable pieces. Don’t cram all of your tasks into one large time frame. Break them up into smaller tasks you can tackle in smaller time frames. This makes them much easier to tackle. It’s always a good idea to set goals, but if you don’t work on those goals, it’s just a meaningless exercise. The point of setting SMART goals is to help you accomplish daunting goals. SMART goals may take more work upfront than regular goals, but that extra work in the beginning makes your goals much easier to achieve. If you are struggling to complete your goals, you should give SMART goals a try. Worst case scenario, they aren’t 100% effective for you. Best case scenario, you are accomplishing things you never thought possible. Give them a try and see if they work for you. You can always tweak them afterwards to fit exactly what you need. Anything is better than the status quo. What do you have to lose? One of the things that’s had a big impact on my life is the habit of reading and writing every day. It may seem like an insignificant change when you start out, but over time, it’s helped me learn more about the world and my thoughts about the world. A Pew research study found that about 24% of US adults didn’t read a single book in 2017. That includes reading a book in print, electronic or audio form. That’s a shocking number. Books are a gateway to new information. They teach us empathy. They help us see the world through a different lens. They present different viewpoints and perspectives. And if this study is true, 24% of US adults missed out on that opportunity. Since I made it a goal to read every day, here are some of my favorite books and my takeaways from them. In 2017 the gaming industry made $108.4 billion. We owe much of that success to games like Doom. 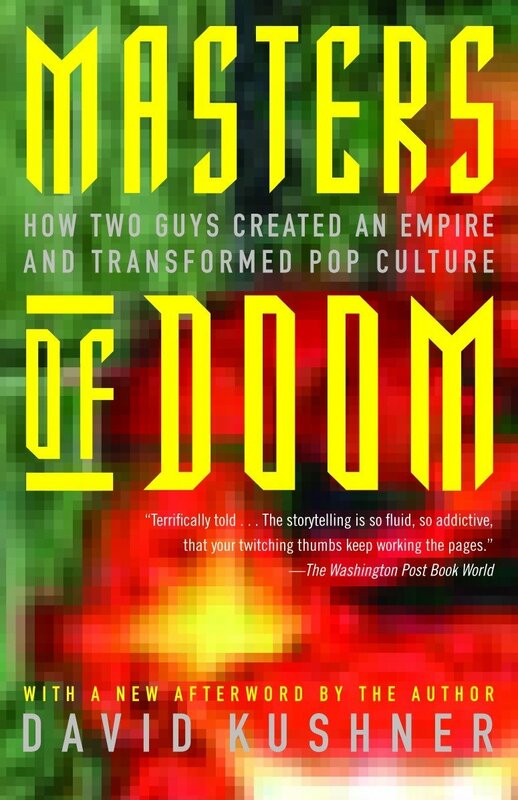 Masters of Doom goes into great details about id Software and its co-founders John D. Carmack and John Romero. The two Johns are titans of the gaming industry and have been instrumental in turning it into what it is today. When the two Johns were running id Software as a cohesive team, they built DOOM, one of the most influential games of our times. DOOM was one of the first games to have a cult following. It made the creators into rock stars of the industry. This was only possible because everyone on the id team was working towards a unified goal. The reason DOOM was so popular is because it pushed the boundaries of gaming. It exceeded the expectations of what everyone thought was possible. The game was top of its class in graphics, realism, and level design. These things working in conjunction gave the game a feel of something new, something revolutionary. When things were going well, the id team worked like a well oiled machine. One John was in charge of designing the intricate level designs. The other John was in charge of pushing the limits of game mechanics and physics. Following the success of DOOM, the two creators followed it up with another massive success in Quake. It felt like the team was unstoppable. But some things are not meant to last. Once their two massive successes went out to the world, the two men had differing views of what to do next. This led to an irreparable rift in the company and the two revolutionary creators went their separate ways. This is why teams must always work together in unity. It doesn’t matter how much potential your company has or how much money you are making. Once you start working against each other, teams fall apart. You build mistrust and your team fractures into pieces. Nike might seem like an unstoppable force in the sports industry now, and it is. In 2018 Nike made around $36.4 billion. But Nike wasn’t always such a successful http://company.In fact, Nike, and its predecessor Blue Ribbon, almost went out of business multiple times. They were sued by the U.S. government. They had to pull off a few miracles to pay all their employees. Yet they made it through all this adversity. Shoe Dog, written by Nike co-founder Phil Knight, tells all of those stories in great detail. In it Phil talks about everything from coming up with the idea of Nike as a grad student to becoming one of the world’s most successful companies. The idea for Nike started when Knight was a grad student at Stanford. He hypothesized that Japanese sports shoes could compete with the dominant German shoe market just like Japanese cameras did to the German camera market. So he approached his former track coach Bill Bowerman and formed Blue Ribbon Sports. Even though it might seem like a foregone conclusion that this company would succeed now, that was far from the case. Blue Ribbon Sports hit many bumps along the road before becoming the Nike behemoth. In its infancy, the Blue Ribbon ran into many funding problems. While they were taking a lot of orders, they couldn’t keep up with the demand and had trouble paying all of their employees. Not only that, their Japanese supplier tried to cut off their supply, and ended up suing them. If Shoe Dog taught me anything, it’s that you shouldn’t take success for granted. It doesn’t matter how good your idea is, success is not guaranteed. In fact, most companies fail. It’s not because they had bad ideas or leadership. It’s because success takes a certain amount of persistence, hard work, dedication, and luck. 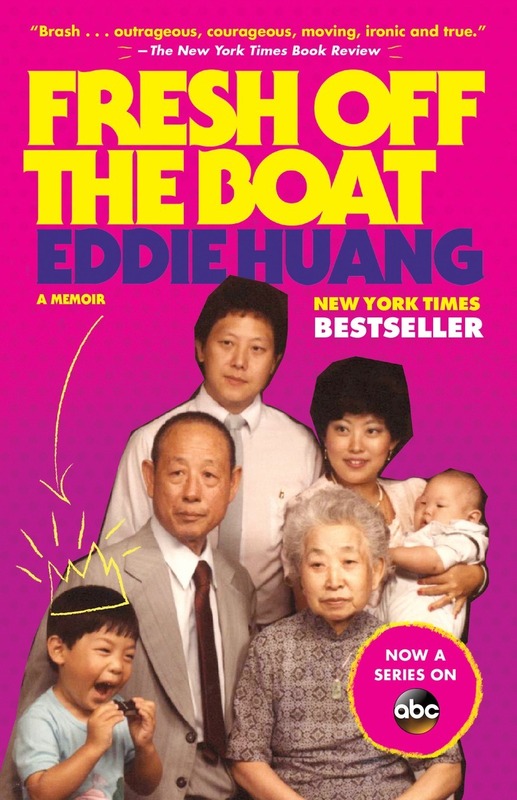 Eddie Huang is known for being the inspiration behind the TV show Fresh Off the Boat, but most people don’t know the show was inspired by his wonderful memoir of the same name. While the show mostly concentrates on humorous scenarios involving his family, Eddie’s real life home was not the idealistic one portrayed on the show. As a child of Asian immigrant parents myself, it was refreshing to read about another person going through the same struggles with identity many of us have to deal with. But while I was trying my best to assimilate into the system, Eddie was doing everything he could to find himself without giving in to other peoples’ expectations. His struggles with identity and his place in the world were so strong that he started lashing out. He didn’t conform to the Asian “model minority” stereotype. He got into fights, hustled in illegal activities, and even got arrested. At one of the lowest points in his life, Eddie was arrested and convicted in Orlando. Instead of sitting at home waiting out his punishment, he went to Taiwan to contemplate his future. In Taiwan, he faced similar struggles with fitting in. But he also learned to embrace all parts of himself instead of trying to hide them or push them away. After his stay in Taiwan, Eddie tried a handful of things including being a lawyer, a stand-up comic, and clothing designer, none of which worked out. It wasn’t until he decided to own and run his own restaurant that Eddie’s life started to come into focus. That was the moment things really started to turn around for him. It’s refreshing to see that even though he faced a lot of struggles, changes in scenery, and life paths, Eddie still ended up finding himself and being successful. Even though his life could have taken a turn for the worst, he was able to figure things out. He overcame his own adversities and now has a thriving restaurant, a TV show based on his life, and his own show on food and culture on VICE. Before you can become a good writer, you have to be a good reader. That’s why I made reading a daily habit. It teaches you what to do and what not to do when writing. It expands your vocabulary, your empathy, and your storytelling skills. Even though I try to write every day, that doesn’t mean I am a good writer, but it does make me a more prolific one. I subscribe to the theory that most of what you do will be mediocre. But every now and then you will create a few gems. This would never be possible without the habit of writing. If you write just 100 words each day, you will end up with 36,500 words in a year. That number might seem like a daunting amount, but if you break it down into small chunks, it becomes much more manageable. A few years ago, I started my writing habit. I wrote about my favorite quotes and people who lived up to the ideals of those quotes. When I started, it was just a fun idea, but over time, I had enough of these quotes and stories to turn them into a book. So I created digital pieces of art to accompany each quote and story, and self-published my book. I had no intentions of writing my own book, but as the number quotes piled up, it made more and more sense. Even though my book may not be a best-seller, I am extremely proud of it. How many people can say they’ve written their own book? 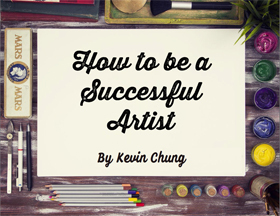 You may not be interested in writing your own book, but I wasn’t either… until I was. That is the power of a daily reading and writing habit. It can open up possibilities you never thought possible. Try starting your own reading and writing habit. A whole world of possibilities can open up when you dedicate yourself to something! Big shifts in life don’t happen quickly. It takes time and patience to go from where you are to where you want to be. It will also take time to develop and build the habits that can help change your life. That’s why it’s important to concentrate on the here and now. You can set goals for what you want in the future, but in order to accomplish those goals, you have to work on the now. The best we can do as people is improve ourselves and live life to the fullest each day. The problem with most self-improvement programs is that they lead to a roller coaster effect. We read all the self-help articles we can get our hands on. We try every new tactic in the hopes of getting instant results, but in the end, we usually end up failing. Then we move on to the next “big thing” in hopes that we just haven’t found the right solution. It’s an endless cycle of ups and downs. Do we fail because we are inadequate? No, we fail because we become overwhelmed, and end up doing nothing. We hype ourselves up, but at the first sign of hesitation, discomfort, or uncertainty, we give up. That’s why some self-help experts recommend the idea of Kaizen, or continuous self-improvement. Instead of trying out every new tactic in hopes of quick wins, we need to focus on improving ourselves a little bit every day. If this doesn’t sound like a glamorous solution, that’s because it isn’t. Glamorous solutions are for headlines and fantasies. Kaizen works because you aren’t trying to take on too much all at one time. You aren’t going for the home run. All you doing is trying to improve 1% each day. That might not seem like a lot, but improving 1% every day compounds over time and ends up having a massive impact. You are no longer giving up when faced with a daunting task. You are slowly and steadily improving over time. Making a 1% improvement doesn’t have to be a hassle. If you start small and improve in different areas of life every day, you can easily make progress. Healthy Eating – If you aren’t eating any vegetables, make a goal of eating just one piece each day. Exercise – If you don’t get enough exercise, make it a goal to take an extra 100 steps each day. Meditation – If you are always in your head, set a goal of meditating for just one minute each day. Learning New Things – If you you want to be a more knowledgeable person, learn one new fact or skill each day. Gratitude – If you always have a negative mindset, find one thing to be grateful for each day. When taken alone, these things may not seem like much, but over time you can vastly improve your life. If you slowly but consistently ramp up the amount you improve over time, you will see massive results. One vegetable turns into one serving of vegetables. 100 steps turns into 1,000 steps. One minute of meditation turns into 30 minutes. Learning one new skill turns into into learning ten. Your negative attitude can turn into a positive one. It’s all about starting small and building up from there. If you miss a day, it’s not a catastrophe. You can just start over the next day. Stop worrying about making giant leaps in your productivity. Make incremental steps towards improvement. It may not seem like you are doing a lot, but over time you can see huge improvements in your life.